With summer winding down and the harvest season gearing up, tomatoes will soon be on the menu in my house. In August we’ll be sharing some of our favorite recipes featuring farm stand and farmer’s market favorites like tomatoes, squash and apples. 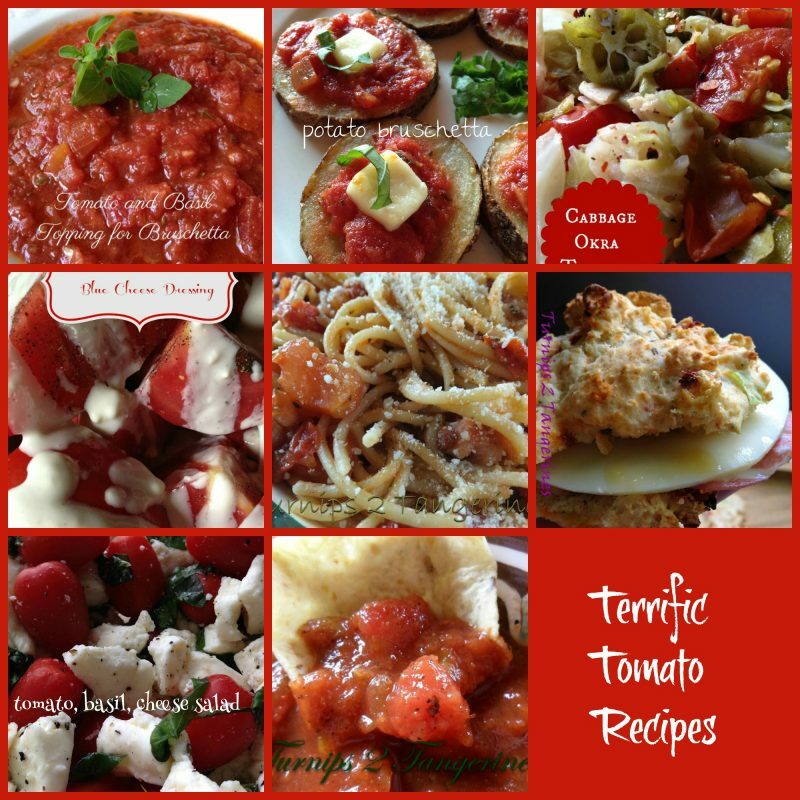 Terrific Tempting Tomato Recipes is a collection of eight favorite recipes found here on Turnips 2 Tangerines. One recipe that I have yet to make with tomatoes is a tomato tart. I have seen many recipes for this yummy looking tart but have yet to give it a try. Not only do I think a tomato tart would make a fantastic side dish and/or light meal, I’m sure it’s another delicious way to use fresh tomatoes. I’ve never made or have eaten fried green tomatoes either, so I better put that on my list of “need to try” recipes also. First Up in our line up of Tomato Recipes is a recipe for Fire Roasted Tomato Salsa and Salsa Verde. You can never have too many salsa recipes I always say! 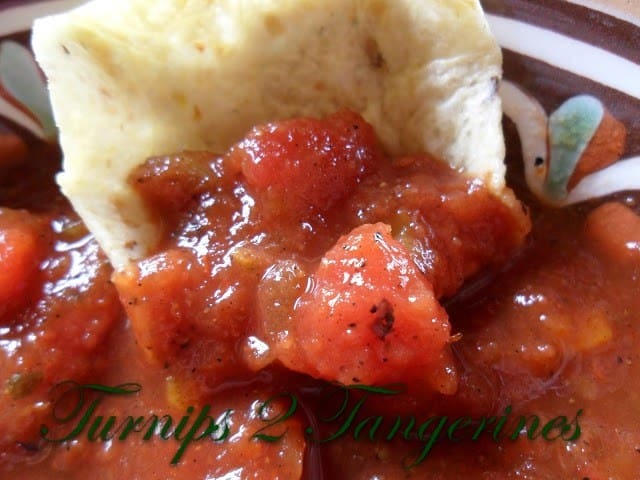 Fresh tomato salsa is one of the easiest and delicious ways to serve fresh tomatoes. 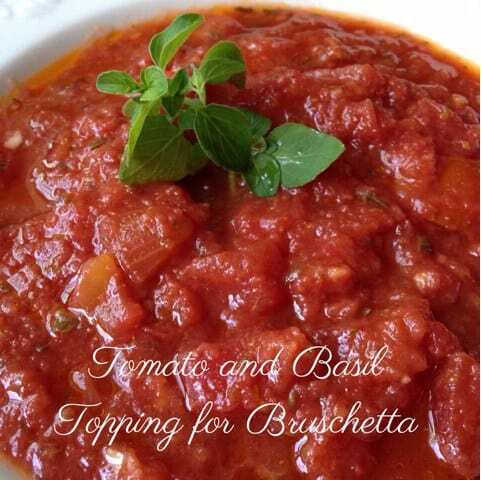 Second on our list is for Tomato Basil Topping for Bruschetta. Tomato Basil topping is a fast and easy topping that is delicious on cooked pasta, for dipping garlic bread into or too top potato bruschetta, which is next up in our lineup. 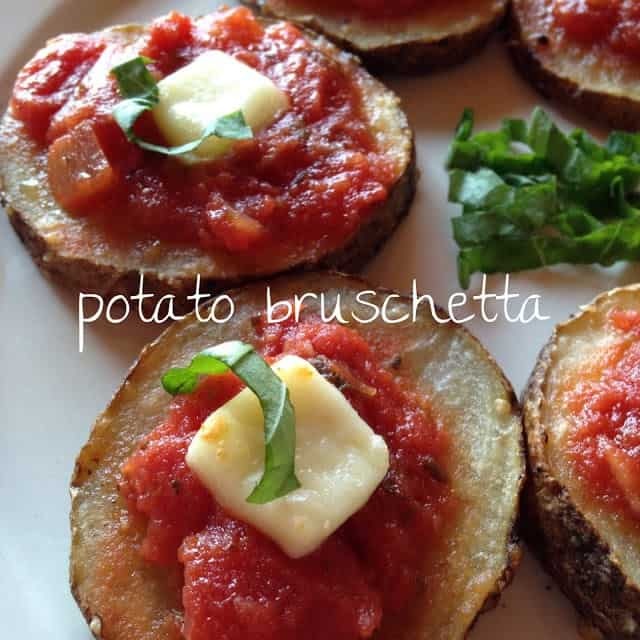 Third is a recipe for Potato Bruschetta. Potato slices are lightly toasted, then topped with a tomato basil topping, and cubes of mozzarella cheese. The potato slices are then popped back into the oven until the cheese has melted. Fast, Easy and Delicious. Fourth is another recipe that is super easy, super fast and super delicious. Bacon Tomato Spaghetti. 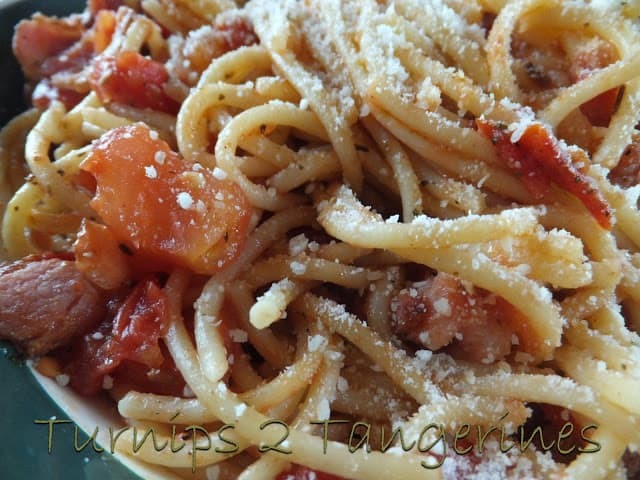 If your looking for a delicious pasta dish to serve your family for dinner tonight or if you need a quick and delicious dish to bring to a potluck, this is the dish you’re searching for. Fifth is actually two recipes. 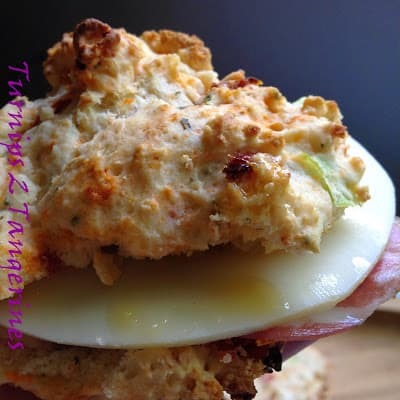 One recipe is for Sun Dried Tomato Scones and the second recipe is for a capicola and provolone sandwich made with sun-dried tomato scones. Any way you slice a sun dried tomato scone, they’re delicious. Sixth. This next recipe couldn’t get any easier. 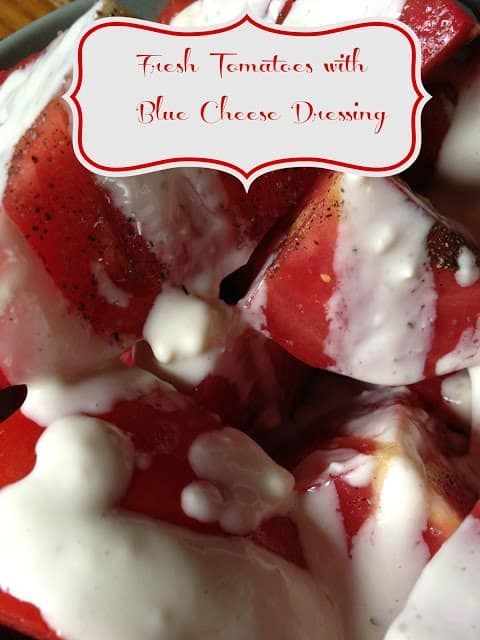 Homemade blue cheese dressing is drizzled over fresh tomatoes. Fresh Tomatoes with Blue Cheese Dressing is super simple, yet so delicious. If you’d rather not make homemade dressing, try Marzetti Salad Dressing salad dressing. It’s our favorite. Seventh is the classic salad made to represent the colors of the Italian flag. 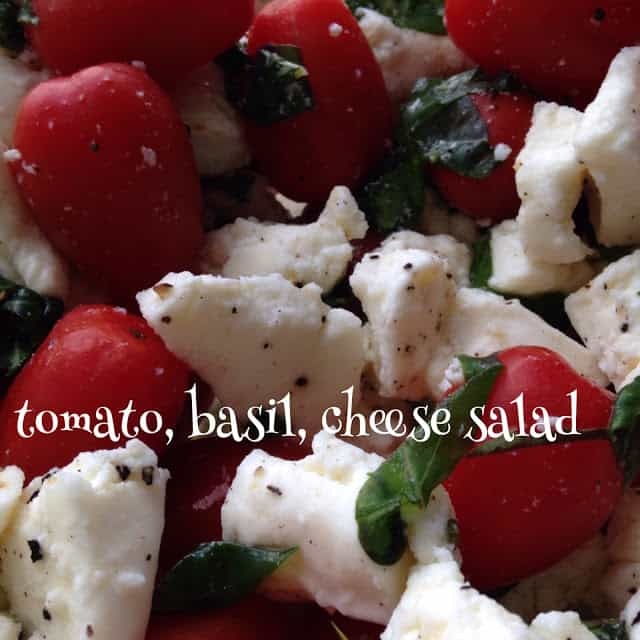 Tomato, Basil, Mozzarella Salad. 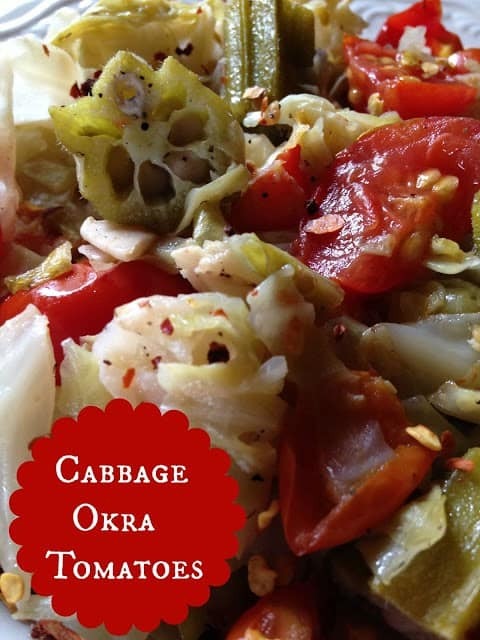 The first time I had this yummy, yet easy salad was at an Italian grocery store deli located just outside Chicago. I’ve been hooked ever since. That concludes this weeks line up of a few of our favorite tomato recipes. Take a trip to your local farm stand or farmer’s market and go get yourself some vine-ripen tomatoes. Me? I’m heading to my favorite farm stand, picking up some fresh tomatoes, frying up some thick slices of hickory smoked bacon and making myself a BLT on some thick slices of toasted sourdough bread..with a thick smear of mayo of course! See You Next Time!